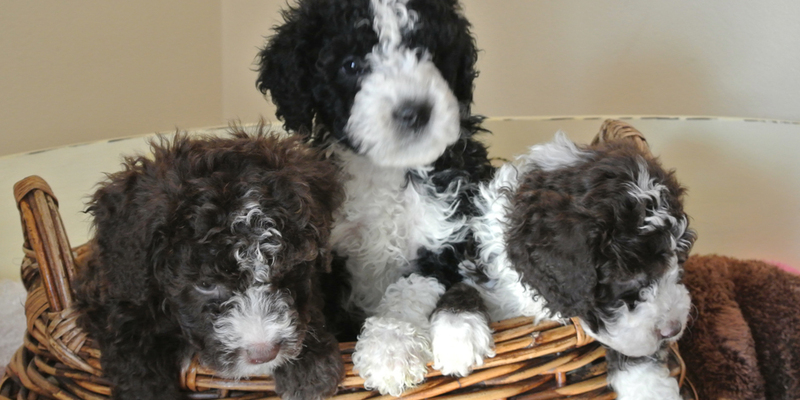 Located in Wisconsin, Lake Breeze Waterdogs offers beautiful Portuguese Waterdog Puppies and Spanish Waterdog Puppies for customers looking to add a great new friend to their family. 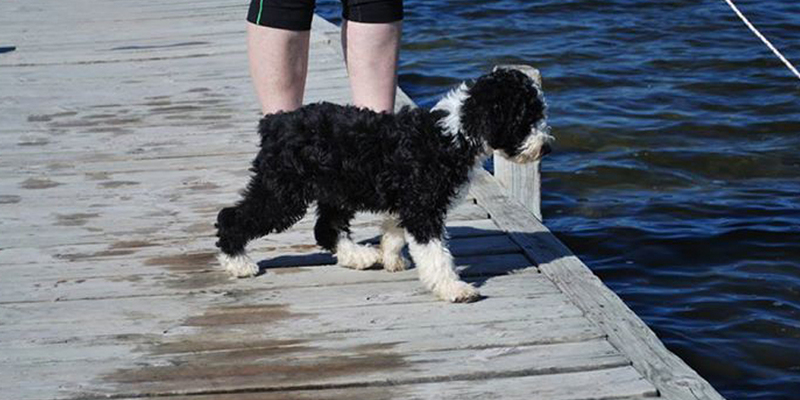 Owner Debra Molkentin has been breeding Portuguese waterdogs since 1988. She has produced numerous champions and finished several as a breeder/owner/handler. She is a member of the PWDCA (national club), PWDCGC (regional club), and FWD Club of America (AKC Parent Club). Her daughter, DeLeen, shows their dogs in Junior Handling and regular classes. Lake Breeze’s dogs make great family companions and performance dogs – several have even gone on to become agility and obedience champions as well as therapy dogs. Molkentin has always bred for great temperaments as well as good health and proper conformation. 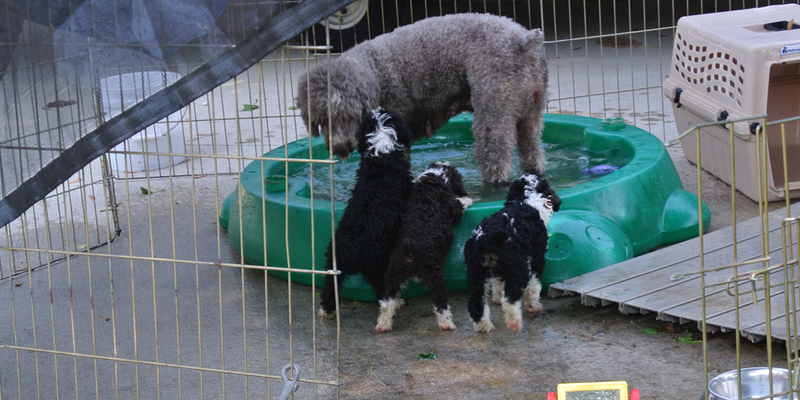 Her dogs are healthy and live well into old age. Her oldest female, Hanna, has produced many champions and was 17 1/2 years of age – and was the queen of the house. Every Lake Breeze puppy will make a wonderful addition to the right home. The pups are incredibly social, and are sure to get along great with members of your family – kids, other animals or any other people who live in your home! All puppies are microchipped and receive their first shots before coming to you. Lake Breeze Waterdogs also starts crate training the pups and socializing them with people, children and other dogs while they are young, making the transition to their new home that much easier for both the dogs and their new owners. In addition to puppies for sale, Lake Breeze also offers grooming services. Whether your pup is in need of a simple wash and brush or an in-depth cut and detangle, Lake Breeze Waterdogs always provides the best care and service to each dog that comes in. For more information on upcoming litters or to scheduling a grooming appointment, contact Lake Breeze Waterdogs today.